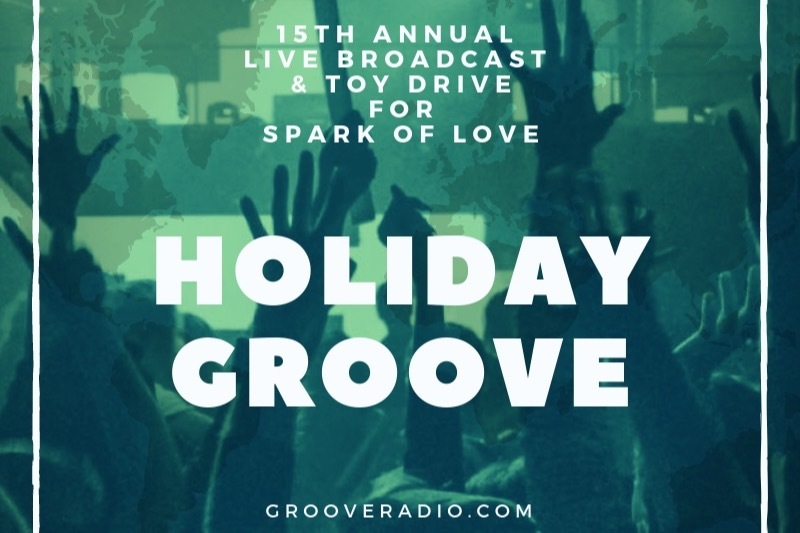 On Thursday Dec 6, 2018, Groove Radio will present the 15th annual special live broadcast “Holiday Groove 2018.” This event brings together L.A.’s Electronic Dance Music community in celebration of the season and has become a dance music holiday tradition to support the “Spark of Love Toy Drive” by ABC7 and Southern California Firefighters. GoFundMe has provided Holiday Groove a way for our listeners to donate directly to the California Community Foundation, the creator of the Spark of Love Toy Drive Fund. Help us meet our goal on their behalf by making a secure, tax-deductible donation online. If you make a donation, please mention that Groove Radio sent you to Spark of Love. Let’s make our Holiday Groove 2018 our best year yet! The “Spark of Love Toy Drive” takes place in November and December every year. With love and support of donors and sponsors, kids across Southern California receive a new toy each holiday season. The “Spark of Love Toy Drive Fund” was created in 2004 at the California Community Foundation to provide toys or sports equipment for underserved children during the holiday season in Southern California. Groove Radio is The Rhythm of the Future - led by Los Angeles radio DJ, Swedish Egil. With a 25-year history, Groove Radio delivers America's first original 24/7 electronic dance music format featuring the biggest names in the genre. Groove Radio hosts a non-stop music channel in HQ audio that is available via a free mobile app in both iOS and Android or on music streaming services iTunes and TuneIn. Syndicated program, Groove Radio International, airs on SiriusXM (Insomniac Radio 730).